This weekend, Hall of Fire turns to Tolkien’s Unfinished Tales as we discuss the events revealed in The Hunt for the Ring. At length [Sauron] resolved that no others would serve him in this case but his mightiest servants, the Ringwraiths, who had no will but his own, being each utterly subservient to the ring that had enslaved him, which Sauron held. Chris Tolkien suggests that The Hunt for the Ring — an account of the Black Rider’s search for The Shire and the One Ring — was compiled somewhere after the publication of Fellowship, yet before Return of the King. How crucial here is Gollum’s dissimulation, when put to torture in the Dark tower? What difference does it make that Sauron first sends the Ringwraiths to search Rhovanion? And what do we make of — present in all the drafts — Saruman’s insistent lying and dissembling? Should the Witch King have connected a small creature with a people he must have had some idea existed on the western edges of Eriador at the time he was making war on the remnants of Arthedain? And where exactly does Gloin’s tale of a “fell horseman” arriving in Dale and Erebor fit into this timeline? Join us at 6pm ET this Saturday (December 2) when we’ll explroe all these questions and more as we discuss The Hunt for the Ring! 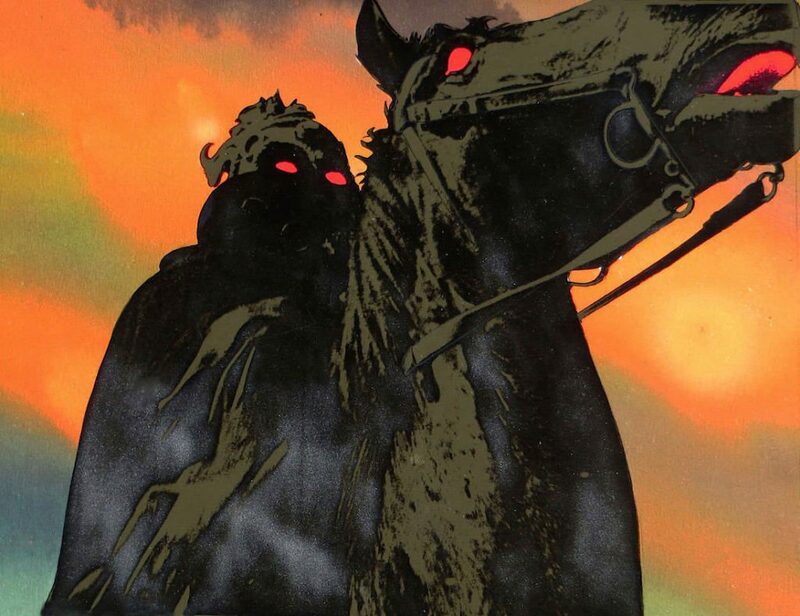 Black Rider from Ralph Bakshi’s Lord of the Rings.